Tulip at Mission to Ukraine, Zhytomyr. Have you ever wanted something so much so that you could never let the desire out of your mind? Sure, you’d get busy with life, but that desire would come back, again and again; just under the surface, waiting for space to invade your mind. At a farm where three Ukrainian families foster 18 orphans. So Amazing! I came across a spectacular Tulip the other day and it reminded me of reading Botany of Desire by Michael Pollan. Maybe you saw the PBS special a few years ago. He explains the history of the Tulip, a flower I had always overlooked until reading his book. One of the many stories he tells is of Tulip-mania from 1634 to 1637 in Netherlands. This story and especially the Semper Augustus Tulip is what grabbed my attention. The Dutch were so crazy about Tulips that they were betting their entire fortunes on the bulbs. Desire was overcoming all rational thought. A Semper Augustus, in fact, was sold for the price a flat on 5th Ave. in New York. Millions… for a flower bulb. The premise of the book is how human desire has changed, protected and developed the variety of foods and plants we eat, drink, smell, smoke and otherwise enjoy, over the history of humanity. Back to that tulip I stumbled upon. The day before I came across this tulip, our team of volunteers who work in the isolation room at Romaniv Boys Orphanage visited the grave of one of our boys. Visiting the grave site, May 9th, 2014. Arsen was actually a man. He came to Romaniv at the age of 7 and lived there for 19 years. As far as we know, his only diagnosis was Cerebral Palsy, otherwise cognitively typical. His father would visit him regularly, taking him into town to stay at a hotel for the weekend. Five years ago that ended when his father passed away. Another tragedy was the passing of his older brother, two years ago. Arsen was a tall, handsome man, who enjoyed going outside. He had not been able to go outside for over a year, because he had outgrown the largest available wheel chair. In December, 2013, we discussed Arsen’s need for a larger wheel chair with the Mission to Ukraine staff and volunteers, on our ride back to Zhytomyr. They jumped right on it and he had a wheel chair two weeks later. Arsen in his new chair, hanging out with with the boys as we sing, eat bananas and play a few games. Christina Kristian, our Wide Awake team member, shared a beautiful day with him in January. Arsen really enjoyed the feel of a sensory ball rolling over his knees and arms. It was beautiful to watch them together. We were all so excited to go outside together, as soon as the weather changed. Arsen went into the hospital with infected bed sores and he never recovered. I don’t want to talk about the quality of medical care. I just want to remember this precious young man who loved his father and loved being outside. He suffered a harder life than many of us could even imagine and now he is free. I imagine him working in the fields, with his dad, on their Dacha (plot of farm land many Ukrainians own). No more weeds, no more struggles to move his body or speak words… heaven. We carried flowers to his grave last week. We remembered our time together, we remembered our dreams and desires for him and we mourned the difficulties he faced in this life. But we don’t mourn Arsen now. Now we rejoice that he is free. What the Dutch didn’t know, when they were fawning over that special Tulip, was that the beautiful explosion of colors of Semper Augustus was actually an abnormality caused by a virus. These people were so captured by the beauty and wonder of this tulip that they would bet beyond what they owed, sell everything and extravagantly pursue the bulb of this flower. All the other plants Michael Pollan discusses serve a purpose, be it food, drink or medicine; beauty is the only reason the flower has thrived the way it has in this world. Kim and I have been captured by the beauty of the boys at Romaniv. It has been our joy to trade all our past comforts to pursue this one desire: to behold the beauty of these precious orphans with disabilities and bring comfort, healing and love by whatever means possible. This is our Tulip-mania. And you better believe that as soon as the dirt settles and the headstone is placed, I will be planting a few bulbs near our friend. This is the final installment of our series on the time we spend at a rural institution for men and boys. You can read Part 1 here, and Part 2 here. This is where it gets a little comical. Oh, if only you could be a fly on the wall of that Isolation building. We are seeing success, although I’m fairly confident from the outside it only looks like chaos, and not even the organized kind! We attempt to place the boys around the table, as many as will fit. There are 15 boys in the room total. Three of the fifteen communicate with words, and only a handful can walk with any kind of stability. Now that’s not to say they're immobile! Not hardly! There are boys everywhere. Coming and going, crawling and walking and flopping and falling. It’s a beehive of activity. Sergei who forgot his accordion wheels Slavik up and down the hall in a wheelchair, the other Sergei sits in between Valera and Vladik, engaging the boys who sit at the table, Nina keeps Andrey (who is obsessed with water) from breaking the water faucet by continually rinsing his hands, and Christina and I begin the time. We begin by greeting each boy by name with a simple song. We are attempting to give the boys a self-identity and try to be intentional about using their names- not just addressing them as a group. After that we like to wash their hands, but the caregivers tell us all the towels are dirty. I make a mental note to bring our own handwashing supplies next time. Several of the boys like water and washing hands is a great sensory experience for all of them. Next we hand out bananas. We’ve pretty much got it down which boys can safely feed themselves and which ones we need to hand feed. In about two minutes flat the bananas are gone. A couple boys scream for more, so we try to distract them with music. Christina turns up our one more upbeat song and we work with the boys to try to teach them to clap. Misha loves music and the minute the song starts he begins to sing, in his way, as loudly as he can. Oh man, I love it when Misha sings. Misha is blind and when he sings he rocks back and forth back and forth, totally enthralled in the music. You need to see it. I guarantee it will make you smile. Some boys clap, Boris shrinks away from my touch when I try to help him bring his hands together. He’s content to just sway, not a fan of touch. When the song ends we attempt our first ever game! The boys have no concept of play, let alone interactive play. We know our game goal is lofty, but we decide to give it a go. Let’s call it more of an “exercise” and less of a “game”. We start the music and help the boys pass the ball to each other around the table. When the music stops we ask “Who has the ball?” and clap and cheer, by name, for the person who has the ball. Misha doesn’t understand the concept and throws the ball as hard as he can, wherever he can, when he gets the ball. Valera passes it for a few turns, then decides it’s more fun to throw it at other people’s heads. Bogdan is new here, and fairly aggressive. He’s not at all interested in letting that ball out of his hands once it’s passed to him. I gently pry it out of hands as he gives me the evil eye, but after several turns he begins to throw the ball- at other people. Okay, not a pass, but also not a death grip. We'll take it! The game is messy and has little resemblance to the original concept, but some of the boys enjoy it, so we call it a success. I have high hopes for more of the boys being able to actively participate next week. It’s good for developing coordination, following directions, interacting with each other, and forming of an individual identity. I think each of us volunteers got at least one ball straight to the face. After the game we bring out the toys. There is a box of toys for the boys and this is the only time I’m aware of that they all get to play with them. I could be wrong. There are some plastic blocks, some duplos and a couple of balls. I make a mental note that we really need to improve the state of the toys. Most of the balls have bites chewed out of them and only 4 of the boys can really do anything with the blocks and duplos. The others just throw them, or hoard them, or don’t interact with them at all. I’m thinking we need to invest in some nice wooden baby toys. Baby toys are the way to go- toys of discovery, toys that will meet some of their sensory needs and can be chewed till their hearts content. For the rest of the time we try to help the boys interact with the toys, we have face to face time with the boys who can accept it. We keep Andrey from the sink. We reach out to the boys who stay in the hall, attempting to help them move them to a place where they are more interested in personal interaction: touch, eye contact, soft words. Vladik #2 coughs and sputters; he can’t manage his secretions well, and we wipe his chin, try to help him sit up straight in his wheelchair. We have yet to connect with him at all. Bogdan starts trying to flip over the tables. Last time we were here he tried that from the very beginning of the time, but this time he did fine for about 70% of the time. Improvement! Vitya fell earlier that day, before we arrived, and has been tied to his bed for safety. He really wants to be in the room with us, so we promise the caregivers we won’t let him out of our sight if they’ll allow him out of bed. Vitya goes straight for the basin of communal drink that the boys share and tries to get a drink. I spend the rest of the time steering him away, as the caregivers always instruct us not to give him anything. I haven’t yet discovered why…it’s on my to-do list. Danil, the youngest and newest arrival to the institution, clings to Christina. He always needs to be close to someone. Valera takes approximately 1,000 pictures with Christina’s Iphone. It’s noisy and messy and challenging and wonderful. Before we know it our time is up. The kitchen staff delivers big pots of borscht and porridge, which the caregivers mix together to feed the boys. We help move the boys out of the room to the hall where they wait to eat in shifts. Bogdan refuses to come out of the room and tries again and again to overturn the tables. I think he’s had a bit too much stimulation- he’s done. We walk around to each one, kissing their heads and saying goodbye. I hold Seryozha’s face in my hands and tell him I love him. I like to think he understands. I hope his spirit understands, at least. I take one last look at the ones who remained in bed, rocking back and forth, seemingly oblivious to the world around them. I wonder what holds them so captive and how God plans to free them. Then we’re out, back in the fresh air and sunshine, like we’ve passed through the wardrobe and are in a completely different world. I think about our boys often throughout the week. While I’m at the park with my kids I wonder what they’re doing. I grieve over what I know they’re probably doing- nothing. I think about how we can make our Friday times more effective. I dream of the day when we can spend more time with them. I pray for God to cover them and protect them. Then I wonder how many are like them, hidden away in other villages in Ukraine. May God have His way and make His name great in the lives of the Fatherless of Ukraine. And may we be obedient when He asks us to respond to them. You can read about an amazing time we had with the boys since I wrote this post on our family blog here. Thank you so much for sharing our love and joy. Welcome to Part 2 of our series on the time we spend at a rural institution each week. You can read Part 1 here. Addy showing a picture we keep on our refrigerator. Is he watching a ray of sunlight, or a speck of dust floating in the air? We spend a lot of time thinking about our boys, wondering how they are doing; praying for them. When we share about these boys and this situation you must know we hold Bonhoeffer's words in highest esteem. There is no place you can point a finger in blame without realizing that the injustice, the inhumanity, people suffer is at every level of this problem. Caregivers, who need a job to provide for their families, are required to do a job that cannot be done with the lack of staff, resources and education afforded them. We watch them do their very best and you can see in their eyes that they wish to do more. When it comes to food, shelter and clothing, they are doing good work, but there is no one-size-fits-all protocol to address the physical, mental, emotional and institutional disabilities these boys face every day. This is why MTU and volunteers have faithfully served this institution for the last 5 years. And, it is why God has sent us to help; working to make wrong things as right as we can, this side of heaven. We enter the building, a long hall with rooms off to each side. Each of us volunteers goes up and down the hall, greeting boys, hugging, and holding their hands. as right as we can, this side of heaven. We help each of the boys in the hall who is able, to walk or crawl to the room where we meet. After that we go from bedroom to bedroom, fetching the boys who are able to participate. Some can walk, some we bring in wheelchairs or strollers. A couple of the boys shy away from our touch, too overwhelmed by the stimuli to leave their beds. Zhenya had a seizure earlier that morning, so he sleeps in his bed, unable to be roused. A couple others sleep hard in their beds, maybe a medicated sleep, or maybe those particular boys don’t sleep well at night? I’m not sure, but we let them sleep, wishing they were awake to receive love this morning. Three boys are tied to their beds with strips of cloth. We ask the caregivers if we can untie them and bring them to the main room, promising to watch over them closely. My heart breaks at their situation- the boys’ and the caregivers’. How would I feel if I were a caregiver and I had to tie a little boy to his bed, just to keep others safe from him, and to keep him safe from himself? I try not to judge, knowing I have absolutely no idea what their days of work truly consist of, knowing I have absolutely no concept of how difficult their job is. They don't have the resources they need or the number of staff they need to give high quality care. I can't even comprehend how difficult their work is. Every time we are there I see caregivers working hard just to keep the boys fed and diapered. The sheer amount of work they have to do for the physical care of the boys- moving, lifting, wiping, drying, dressing, feeding...- leaves almost zero time for meeting emotional and cognitive needs. And for the boys, to live a life where they are tied to a bed, unable to make themselves understood, unable to regulate themselves in their environment, again, my blessed life has no concept of their reality. It is truly heartbreaking from every side. There is no simple solution, and that is why God has put us in this place. He wants to change things, and He is the only one who can do it. This little man can't wait for group time. So much light in his eyes. I look from room to room, on the search for my Seryozha. There is just something special about Seryozha. He has wise eyes. He doesn’t speak, but I know he understands. Finally, in the last room I find him, behind a closed door all alone in the room in his wheelchair. “Oh my dear Seryozha! Why are you in here all alone? Priviet (hi)! I’m so happy to see my sweet boy! Kak de la? (How are you? )” He is restrained into his chair. I wipe tears out of my eyes, wondering what goes on in his little mind when he’s all alone. I try not to dwell on it and thank God He has brought us here today to show Sergei His love. I pray that while we are away angels minister to my sweet boy. I wheel him in to the meeting room, the last one to arrive, and we begin. Co-Founder and chief mom at Wide Awake Int. This is our first post in a series on the Boys Orphanage we visit every Friday. We are so blessed to help Mission to Ukraine, knowing that the work they have done over the years has made it possible for us to lend a hand. These first four months are the beginning to what we hope is a long partnership with Mission to Ukraine (MTU). Check out all their great work here. "Come on in! We are ready to play." It’s Friday morning at 9:17. Christina, our translator and team member, and I rush out the door, toast in hand, to join the MTU staff who are headed to Romaniv. We all congregate at the van, deciding who will sit where. The ride to Romaniv can be a bit “bumpy”, so the sickies get to sit in front. The van is loaded with craft and teaching supplies for the group from MTU who will teach the higher functioning boys. The trunk holds a big box of bananas, a special weekly treat for all the boys. In my bag I have one simple tool: a newly purchased speaker loaded with music. Some of the boys in the Isolation Room LOVE music. When we come they expect music, and for one boy, Misha, I’m confident that 2 hours of music each week is the highlight of his life. Sergie, an awesome volunteer from another town brings his accordion to Romaniv, but sometimes he’s not there, so we want to make sure we have music, just in case. The van pulls out from MTU, loaded with a chattering, cheerful bunch. Spirits are high. The boys have been quarantined for a couple weeks and finally everyone is healthy. We’re happy to be back in a routine with our loves. I don’t understand much of the conversation, but I’m happy to listen, straining my ears and wracking my brain for familiar words among the chats. As we get closer to Romaniv, Christina and I talk over our “plan of attack” with Nina, one of the outstanding volunteer who has volunteered with these boys for the last 5 years. Nina pours every drop of love she can into each of these boys. Nina has several children of her own, and one of them has significant disabilities. Our boys are personal to her, and she is determined to give them all the love she can every time she is with them. I wish you could see Nina in action. She is pure joy and love. We discuss what we have planned for the boys this morning and fine tune our ideas. We are trying to implement a routine for our weekly visits. Our boys are at all different levels of abilities- physical and cognitive, yet we know they will thrive in routine. We want them to rise to the occasion. We want to see what they are capable of. Baby steps, maybe, but extremely significant steps for these boys. They need someone to champion for them. They need someone to be intentional for them. We pull up to the gates of the institution and meet another van with several volunteers from an other town. Everyone helps unload, and we’re off! Sergei laments that he forgot his accordion and we sigh with relief over our precious speaker. Ha! As we take our first steps down the long sidewalk toward the buildings where the boys live we hear yells, hoots and hollers. The highlight of their week has arrived. It’s Friday! Faces peer out of every window, some of the older boys come outside to shake hands and show us their latest finds, a baby toy phone, a coin, a baby food jar full of buttons. They display their most treasured possessions with ultimate pride as we ooh and aah to the extreme, our hearts bursting with love. Nina, Christina, two Sergei’s and I head over to the small Isolation building that houses our boys. Our boys can’t get to the windows so they don’t yet know that we’ve arrived. We walk in and the wave of noises and smells wash over us. There are the normal smells of Romaniv with a hint of bleach this week, a reminder that the boys have been sick. I can hear the various boys and their squeaks, shrieks and cries. There is overwhelming stink, and overwhelming noise, yet my heart is at home. In that moment there is no other place I’d rather be. When He puts a vision and a dream in your heart He gives you everything you need to fulfill it- plus a hefty dose of joy in the journey. Stay tuned this week, as we share more about our Fridays in Ukraine. This morning I rushed home through the mud after walking Addy and Ezra to school, in a hurry to study up on my Russian prepositions before our language teacher arrived for our lesson. Jed and I sat at the kitchen table, sipping coffee and quizzing each other on the genitive case, while attempting to keep Seth out of the snack cupboard. It was all very romantic and life-saving. Not. Hehe. Oh we have those glorious moments that we expected- like the moment when Jed walked in to the Romaniv orphanage and saw one of our bedridden darlings sitting up in a wheelchair for the first time in at least a year. We have those times when things are really clicking at Mission to Ukraine (MTU) and we know we are meeting a need that really helps their organization. But, honestly, those are not the majority of our moments these days. The majority of our moments these days are plodding along with language so we can at least speak coherently with two-year olds. J We have many moments of attempting to talk with the other moms while waiting to pick up their kids from school, moments of chatting with Babushkas (and pretending to understand all they say after realizing they don’t understand that I don’t understand) at church, moments of having Ukrainian friends over to our house to eat and live life together, moments of cutting out shapes for the MTU preschool class, moments of trudging through our muddy streets and moments of cramming for our Russian lesson…many moments of normal life.&nbsp; Yet we remember that each of our lives is made up of many normal moments- all accumulating to form this one life we’ve been given. These moments, this time of digging deep into Ukrainian culture, loading our brains with Russian verbs and prepositions, and relationship building is all forming the foundation of Wide Awake in Ukraine. Who looks at the foundation of the house when it’s all built and looking pretty? Not many people care to look at the foundation, yet it is the most important element of that house. Who cares if the house boasts a sweet exterior paint job and a perfectly manicured lawn if the foundation is crumbling? Yikes. Things might be fine for a while, but when the wind starts to blow or hard times come, the foundation, the things unseen will be what bears the weight. 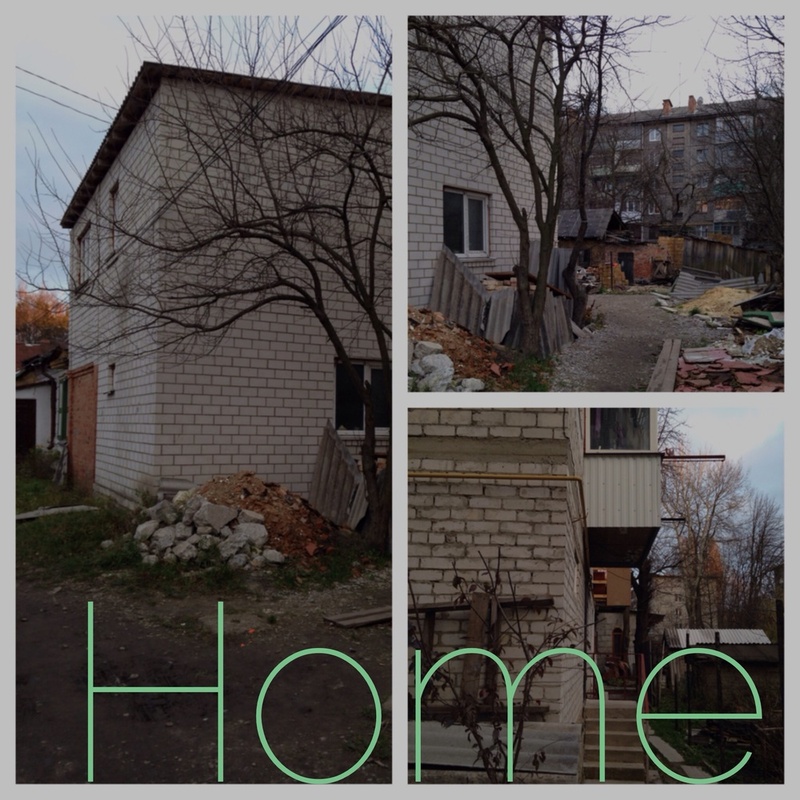 The dream God has put in our hearts for Ukraine’s most vulnerable is not a quick dream. It’s not a dream that can be accomplished lickety-split and we’re out. We are well aware that this dream seems rather impossible, and actually IS rather impossible without our God. Ukraine is not ripe for this dream, yet God called us here for this time in space, so here we are. We know that even now He is softening hearts and opening minds. We actually see Him paving the way and clearing obstacles from our path. It’s crazy. This is a dream that may take the rest of our lives. If so, so be it. Here we are Lord. With the long-term in mind, we focus on the foundation: language, relationship, trust, cultural awareness. We’re digging in deep here and trusting God with the results. As much as we’d love to just walk up to the laying room of the nearest orphanage and ask them to hand over their sickest, we also see what a disaster that would be. So we do the next thing. We work on being FULLY present in our town and with the people in front of our faces. We learn Russian and Ukrainian though our brains threaten to combust. We learn to love the Ukrainian people and work to find out how they see the Gospel. Picking out paint colors will be fun someday. Our hearts yearn for that day. But for now, we dig the foundation. Thank you for joining us and helping us tackle the “unseen”. It’s all the more beautiful a journey because of your love and support. Kim Johnson is a Co-founder and currently winning at the language acquisition race at the Johnson house. 1. thin, tenuous, or rarefied, as a fluid or an odor. 2. fine or delicate in meaning or intent; difficult to perceive or understand: subtle irony. 3. delicate or faint and mysterious: a subtle smile. 4. requiring mental acuteness, penetration, or discernment: a subtle philosophy. 5. characterized by mental acuteness or penetration: a subtle understanding. Before starting Wide Awake International (WAI) I spent the last 10 years working for some highly successful, highly visible non-profit organizations. These organizations had passionate founding directors, well-integrated into their communities. The interventions are time tested and effective. The staff are highly trained, committed and able to do their best work. I've been unsure what to share on this blog, because all my past work was drenched in fantastic statistics, impact, change, work, work, work. It felt so good to be a part of something big... something dramatic... important. Sandra: "Why don't you update us on the Wide-Awake blog?" Me: "I'm struggling with what to say, Most of the "news" is me figuring out a bus system or how to say the right word to the woman at the corner market. It's not an outcome." Sandra: "You need to share your stories. People who are engaged now are partnering because they are excited about building something new. They are passionate. Let them follow closely so they can celebrate with you." Me: "Ok, I'll write some posts." Thank you Sandra for pushing me, for supporting us along the way, and for letting us crash at your house. WAI is a baby. Our first job is to learn how to be O.K. with being hand-fed as we discover this big wide world around us. Our outcomes are subtle, but that doesn't make them less important. - Mission to Ukraine: A rose that grew from concrete... thanks Tupac. A woman giving birth to a child has pain because her time has come; but when her baby is born she forgets the anguish because of her joy that a child is born into the world. So with you: Now is your time of grief, but I will see you again and you will rejoice, and no one will take away your joy. In that day you will no longer ask me anything. Very truly I tell you, my Father will give you whatever you ask in my name. Until now you have not asked for anything in my name. Ask and you will receive, and your joy will be complete. Today, we board our plane to start our lives in the Ukraine. We pray for comfort for the hearts we are leaving behind and hopeful assurance for the hearts who will receive us at the end of our travels. We pray for peace to cover our own hearts and protection for our travels, expectant for the complete joy found in sharing His love with the precious children who await us. Thank you for joining us in praying as we counted down to our departure to the Ukraine. You can read more about the 21 Days of Prayer here. We were so blessed to have your prayers as we prepared to go and will continue to treasure your prayers as we travel, arrive and settle abroad. We see your Kingdom come when hearts are moved to lift up the fatherless and the widow. Give us eyes of faith to see what you are doing and join you. Thank you for letting us partner with your passion for loving the broken. Father, help each of us to learn the lessons of life without going through the fires temptation. Give us the courage to trust you and the process you lead us through. As we step into a new culture, we will unintentionally and daily trespass on norms. 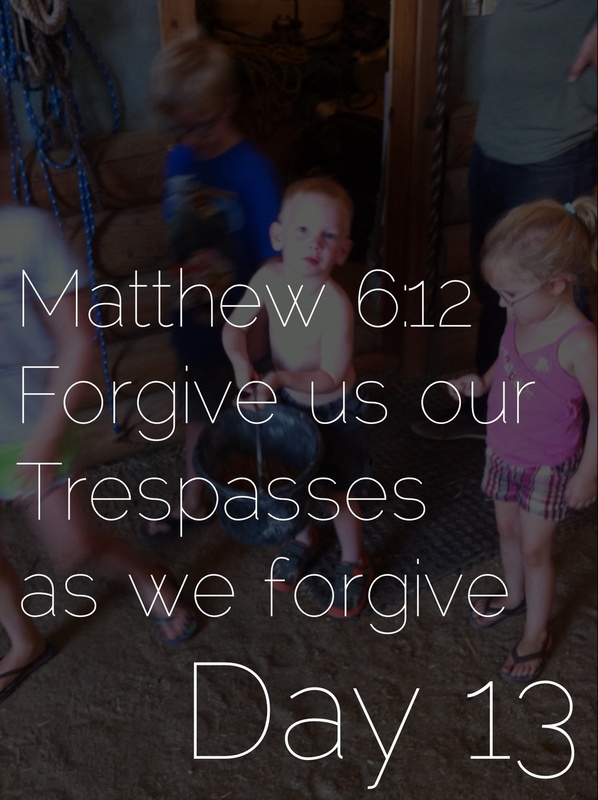 Would you go before us and help us to walk in forgiveness and help us to extend forgiveness to others. Thank you for being our provider. Help us look to you for all our daily needs and trust that you will continue to provide: physically, spiritually and emotionally. God, you have put eternity into our hearts and so in our very bones we long for wrong things to be made right. We cry out for a time when there is no more war and systems of oppression that keeps your children hidden away. 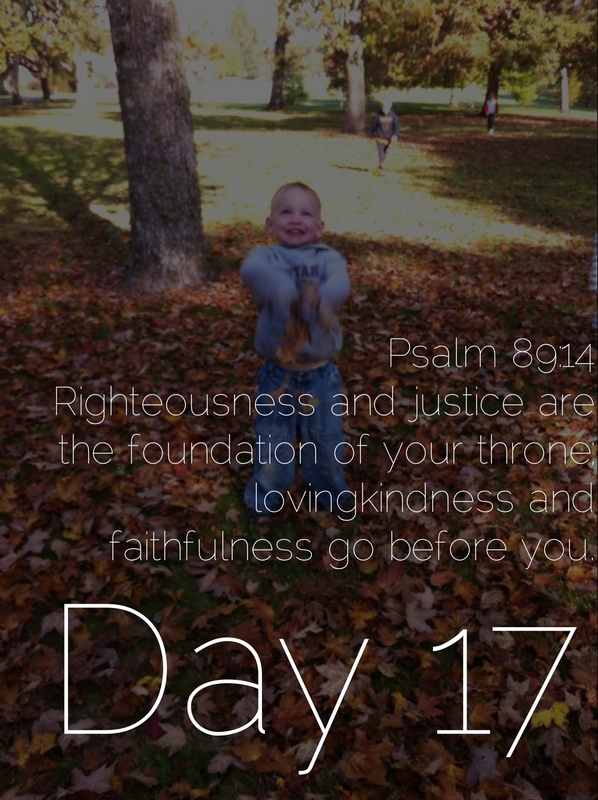 We pray for a time where sickness no longer ravages our families. We cry out for your will to be done here, now. We appeal to your wisdom because our best plans are not sufficient. We are dreaming your dreams,Father God; we need your eyes to see what we cannot even imagine. With all this in mind we say, "Your Will Be Done." Help us have eyes to see the beautiful moments where your Kingdom is breaking out all around. In the adoption of a child who was once lost to the eyes of the world, in the caring words shared between friends, in the feeding of hungry bellies and the healing of weakened bones. And Father, give us courage to stand with the hurting and the broken. Give us strength as we go to the places of greatest pain and suffering in our families, cities and in our world and cry out, "Father, Let Your Kingdom Come Here!" As we move forward, into the unknown, we can trust that you are a good dad who sees the end from the beginning. You are OUR Father and you are in Heaven. In each of our lives, make yourself known and make your name great today. Be bigger than my circumstances. Be bigger than my dreams. Be bigger than my hopes and fears. Hallowed be your name.